In this interview Julie Gichuru from ALD sits down with Gabriel Negatu, Director of the Eastern African Regional Center of the African Development Bank, and gets his perspective on Africa in the world today, and its future potential. 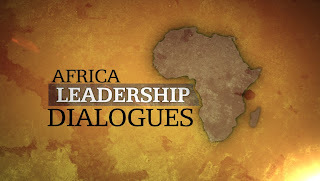 African Leadership Dialogue is a pan African television show that engages with African leaders in the public and private sectors. They analyze the current state of the African continent, and potential paths moving forward. The show is hosted by its conceptual founder Julie Gichuru and takes the discussion across the continent through social media and in particular through regular Google + hangouts where Africans get to share their views. We follow Julie Gichuru's show here at AD, and you'll certainly see us in the next hangout.